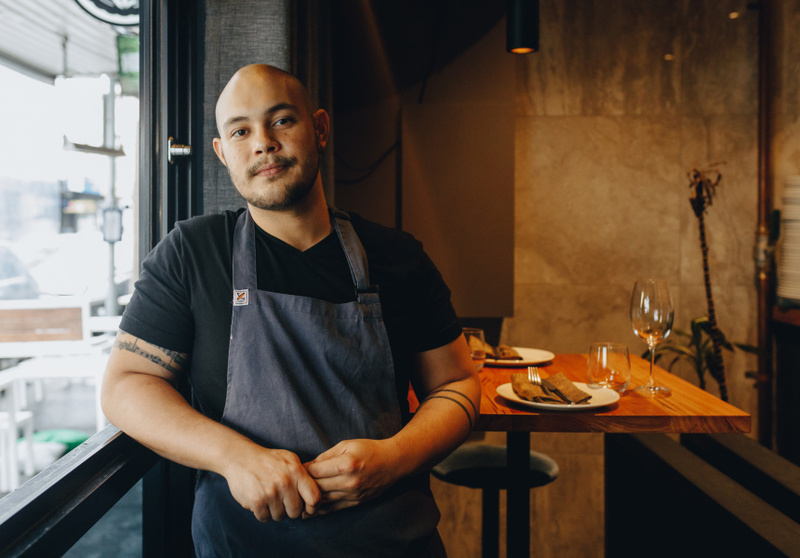 Queenslander Ryan Dolan cooked in France for six years before landing at Melbourne restaurant Ramblr. 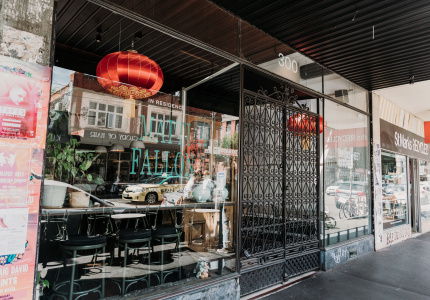 Now he’s bringing fresh air to “bistronomy” in Melbourne. 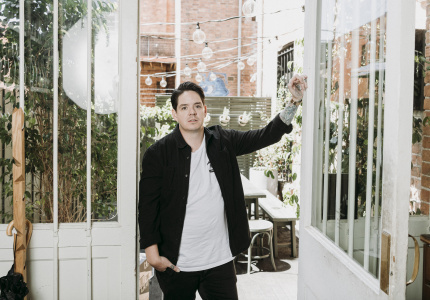 Following a national search for Australia’s brightest food talent, we’re thrilled to announce the Broadsheet Kitchen’s first resident chef, Ryan Dolan. 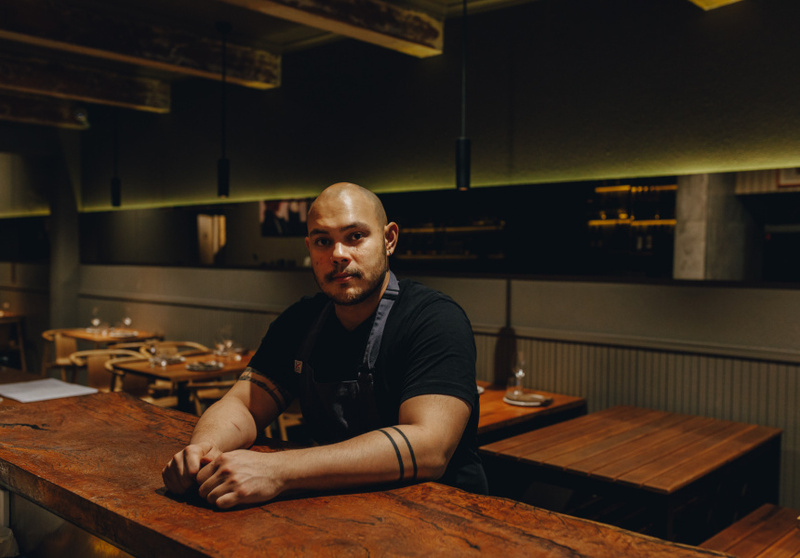 At the end of the month, Scott Pickett’s Saint Crispin will transform into the Broadsheet Kitchen, and Dolan’s restaurant concept, Cabale, will take centre stage for the restaurant’s first three months. Dolan was born in the United Arab Emirates, and his 13-year hospitality career has been diverse and spanned many countries. The chef grew up in Cairns and worked hospitality jobs there before stints in kitchens elsewhere in Australia, then in France. He arrived in Lyon – France’s gastronomy capital – in 2012, landing a commis-chef job at Michelin-starred restaurant Christian Tetedoie. The fine diner’s then-sous chef, Arnaud Laverdin, became Dolan’s close friend and mentor, and in 2015 they opened La Bijouterie, a fixed-menu casual fine diner that’s still in Lyon today. 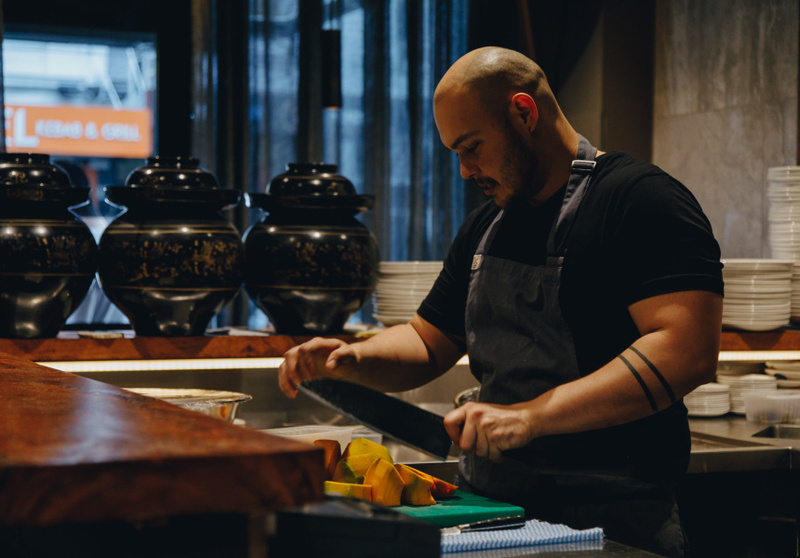 At the beginning of this year Dolan moved to Melbourne, where he worked one-month stages (an internship-like arrangement where a chef learns in another chef’s kitchen) at two of the state's best restaurants in Aaron Turner’s Igni and Clinton McIver’s Amaru, before settling at Nick Stanton’s acclaimed Ramblr. Dolan’s Broadsheet Kitchen residency is rooted in the concept of “bistronomy”, which is the name given to a French dining movement in 2004 by a French journalist and food critic who praised one restaurant for its low-key decor and creative yet affordable food. 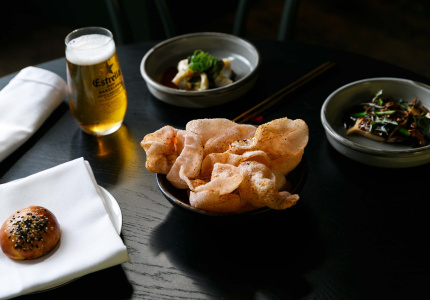 Another critic described it as a “new breed of bistros run by creative young chefs with formidable haute-cuisine training, who serve honest food at gentle prices instead of reaching for Michelin stars”. Read: the casual cousin of French fine dining. Bistronomy was a response to the French dining establishment’s preference for figurehead chefs such as Paul Bocuse; it’s a new guard of young French chefs who sought to reimagine haute cuisine, and over the past decade the concept boomed, giving more people access to delicious technical food in a comfortable setting, and destabilising Michelin’s hold over fine food in France. Bistronomy spends more time on produce than presentation, and elevates everyday ingredients with interesting techniques. Cabale’s menu will draw heavily on a range of classic techniques applied to unusual combinations of ingredients and flavours. One entree, for example, combines pickled eggs with dandelion, lardo (cured pork backfat), onion and malt. A dessert of frozen bay-leaf custard comes with a bitter caramel made from sherry and dried olives. Though French flavours appear in some dishes – grilled scallops with pear vinegar, parsnip, endive and rye – the menu is certainly not classic French. “Primarily it’s delicious food that is governed by quality seasonal market produce, displaying a deft hand in executing various techniques” without being over the top, Dolan says. His time in France fuelled his fascination in market-driven menus and what he describes as humble food. By the same token, Dolan’s food emphasises the flavour of each ingredient, which is something he became more focused on while working at Igni. Not only did Dolan’s concept stand out to the Broadsheet Kitchen’s judges, they were also struck by his breadth of experience, his passion, and the sheer amount of thought and work that had gone into his idea. 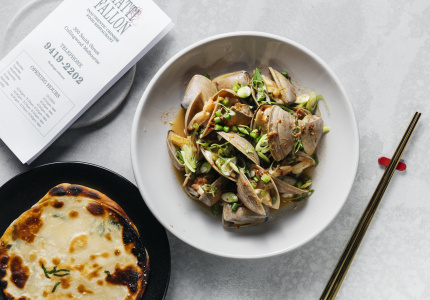 “Dolan’s style of food and bistronomy isn’t something we see a lot of in Australia and it’s something that really excited us,” says Broadsheet’s founder and publisher, and Kitchen mentor Nick Shelton. Dolan will work alongside – and be mentored and guided by – Saint Crispin’s head chef Stuart McVeigh, as well as the established kitchen and front-of-house teams. The Broadsheet Kitchen will open to the public on November 2. Online bookings are now open, reserve your table below.